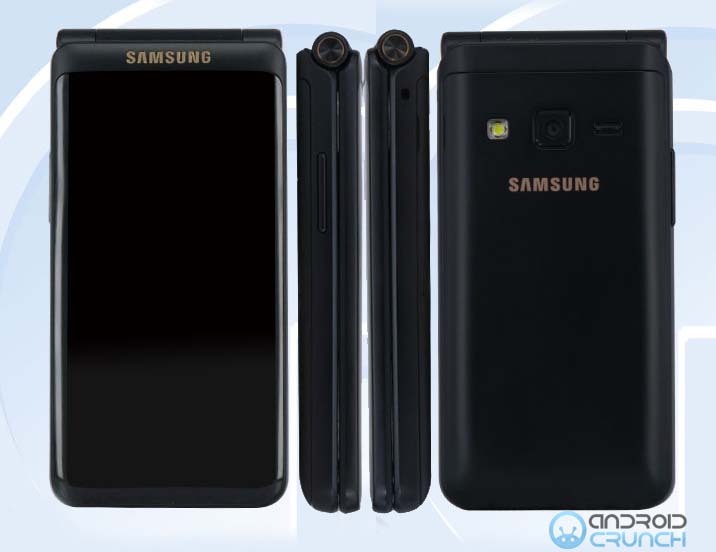 Last month, Samsung got the TENAA approval for a new flip phone Samsung SM-G9298 that was having a dual display and was having flagship series specifications. 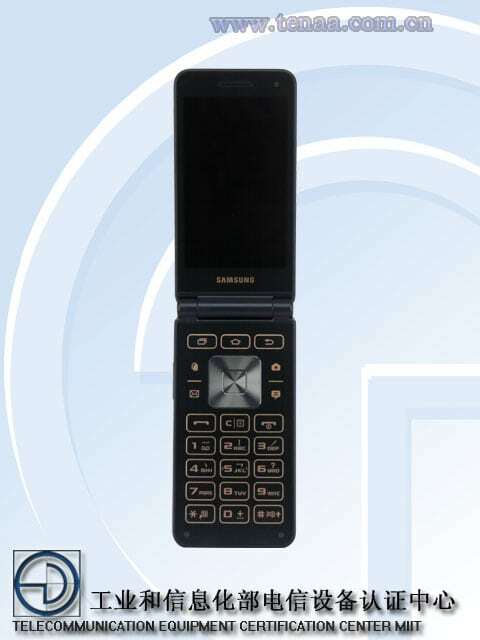 Today, Samsung has got the TENAA approval for a new mid-range flip phone that comes with model name Samsung SM-G1650 and comes with downgraded specifications from the Samsung SM-G9298. The TENAA listing for the SM-G1650 shows a single display but if we check the images we can see the two displays for the device. The Samsung SM-G1650 and Samsung SM-G9298 are expected to be launched soon by the Korean company in Korea or in China soon. The Samsung SM-G1650 flip phone is listed at TENAA with a 3.8-inch TFT curved glass display with 800 × 480 pixels resolution and comes powered by a 1.4GHz quad-core processor. It comes with 2GB and 3GB RAM with 16GB/32GB inbuilt storage capacity which is further expandable up to 256GB with the help of MicroSD card slot. It runs on the Android 6.0.1 Marshmallow OS out of the box and is expected to support Dual SIMs as well. The device comes with Gravity sensor, distance sensor and light sensor but we don't have the fingerprint scanner on board. It features a 8-megapixel rear camera with a LED flash and also has a 5-megapixel front facing camera. It is backed up by a 1950mAh battery and connectivity options it supports includes 4G LTE with VoLTE, 3G, Bluetooth, WiFi, GPS and other options as well. The device comes with a T9 standard physical keyboard. It measures 122 × 60.2 × 16.1 mm and weights 160 grams. Color options includes the Black color only. There is no news available when this device will be available for sale but it will be launched along with the Samsung SM-G9298 flip phone. To recall, the Samsung SM-G9298 was spotted at TENAA with dual 4.2-inch AMOLED full HD displays with 1920 × 1080 pixel resolution, a 2.15GHz quad-core processor that might be the Snapdragon 820 processor, 4GB of RAM, 64GB of inbuilt storage capacity, expandable MicroSD card storage with up to 256GB storage capacity, Android 6.0.1 Marshmallow OS out of the box, a 12-megapixel rear LED flash camera along with a 5-megapixel front facing camera, a 2300mAh battery, connectivity options includes 4G voLTE, 3G, 2g, Bluetooth, WiFi, a fingerprint scanner on the rear side below the rear camera lens and black color option. It measures 127.7 × 61.4 × 15.87 mm and weights 234 grams.